← Progress of the Seasons Journal: 25, 26 & 27 April, 1832-1862. Progress of the Seasons Journal: 28 April, 1832-1862. Bumblebees have been out for a few days now. These are the queens who have overwintered and are looking to set up new hives. Rue Anemone (called ‘Wind Flower’ in the historical data) is now flowering in Harlemville. Here is the historical phenology report from the ‘Progress of the Seasons Project’ for 28 April. 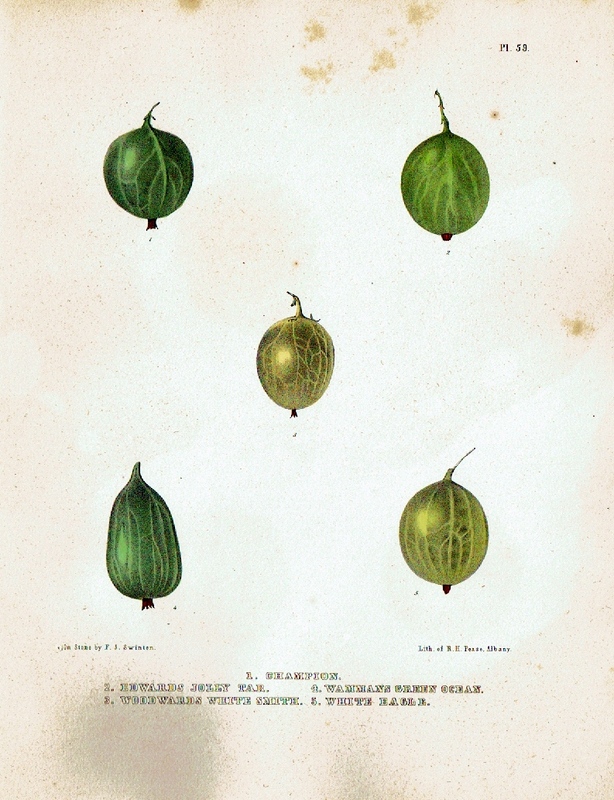 Gooseberries from Emmons’ 1851 book on NYS agriculture. 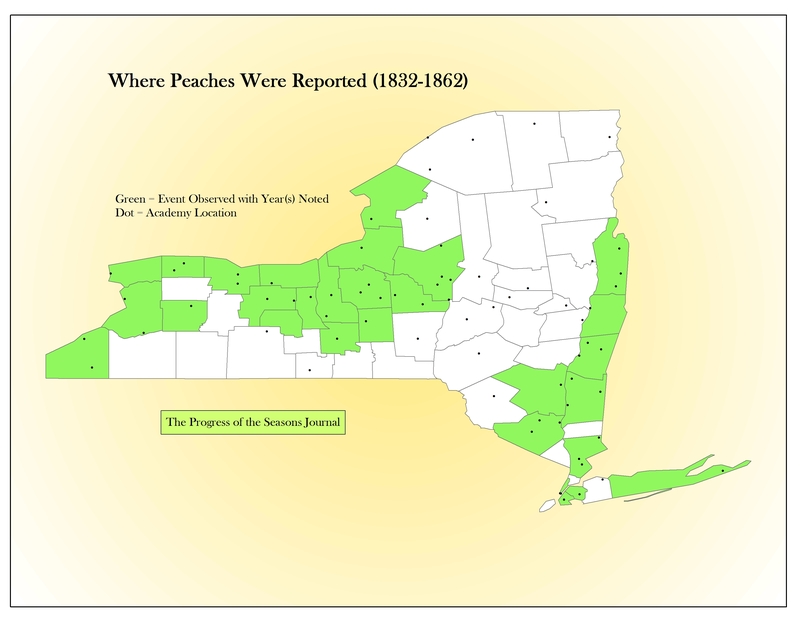 A couple of days ago, on our Facebook page, we profiled the mid-19th century distributions of Apple, Pear, Cherry, Peach and Plum in NYS according our phenology data. For those of you who don’t do Facebook, I’ve repeated those maps at the bottom of the page. We pointed out that, at least according to those data, one could distinguish between statewide fruits, such as Apple, Plum, and Cherry, and the apparently more temperate species, such as Pears and Peaches. Today, given their occurrence in the flowering records for 28 April, we highlight three more (actually, four) more fruits: Apricots, Gooseberries, Currants and Quince. The maps for these four fruits are shown below. These maps show the distribution of all records for these fruits, not just those reportedly flowering on 28 April. Realize also that not all counties had active academies, so some of the patchiness has nothing to do with agronomy. Red Currants from Emmons’ 1851 book on NYS agriculture. 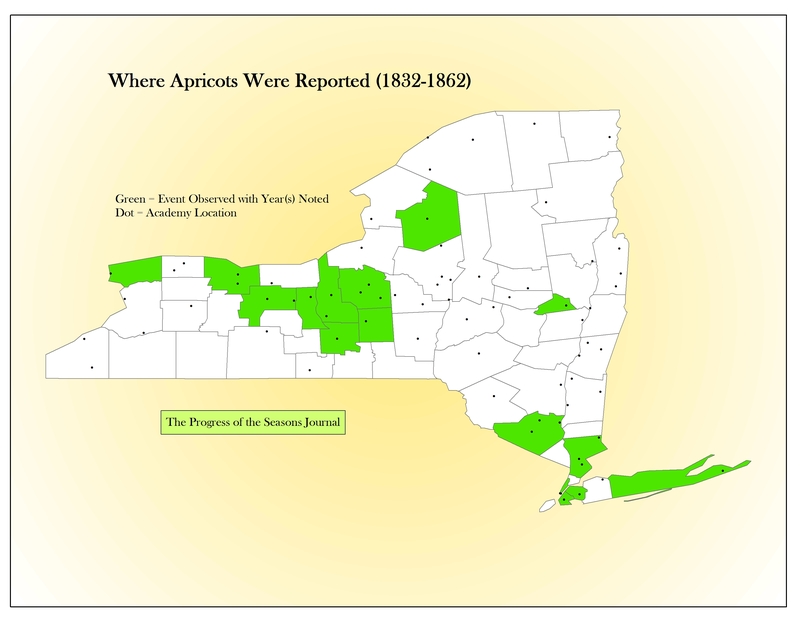 However, again, two patterns are clear: Apricots and Quince seem to occur mainly in southeastern NY and along the edge of the Great Lakes, while Currants and Gooseberries are more widespread. The Currants (primarily, according to the data, Red Currants) and the Gooseberries (primarily, the European Gooseberry) seem to have been quite commonly raised. 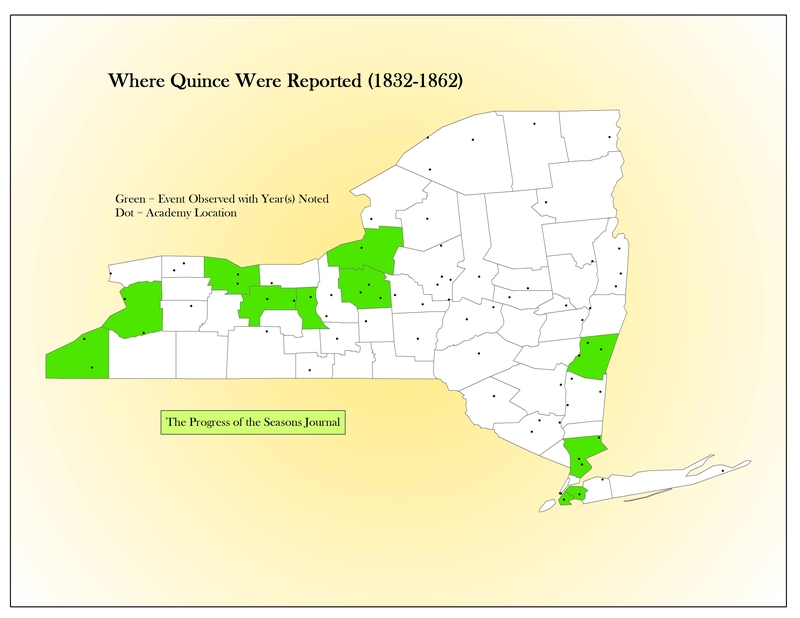 Not only are there records from many counties, but some counties have an abundance of reports from different years. North America has native Gooseberries; you can still find them in the woods today. However, records referring to those native species are few in our data and, in the vast majority of cases, “Gooseberry” apparently referred to the European species. Gooseberries, wild and domestic, were actively destroyed during the early 20th century because they were a host for White Pine Blister Rust. 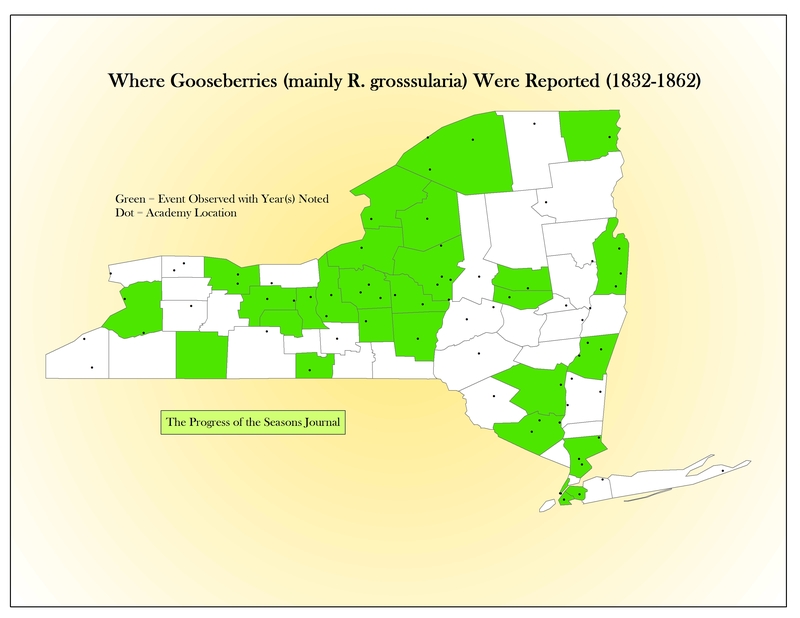 In Columbia County alone, between 1920 and 1940, around 1,000,000 Gooseberry plants (presumably both native and European) were destroyed. In the early 1900s, Federal and State laws were enacted banning the growing of Currants and Gooseberries. For the most part, those laws have now been lifted, but our forests are surely still depauperate in wild Gooseberries. This, in turn, has meant relatively little food for the Grey Comma, a retiring butterfly that was once much more common in our area. The Green Comma may also have been knocked back. It will be interesting to see if they and the native Gooseberries can return to our woods. 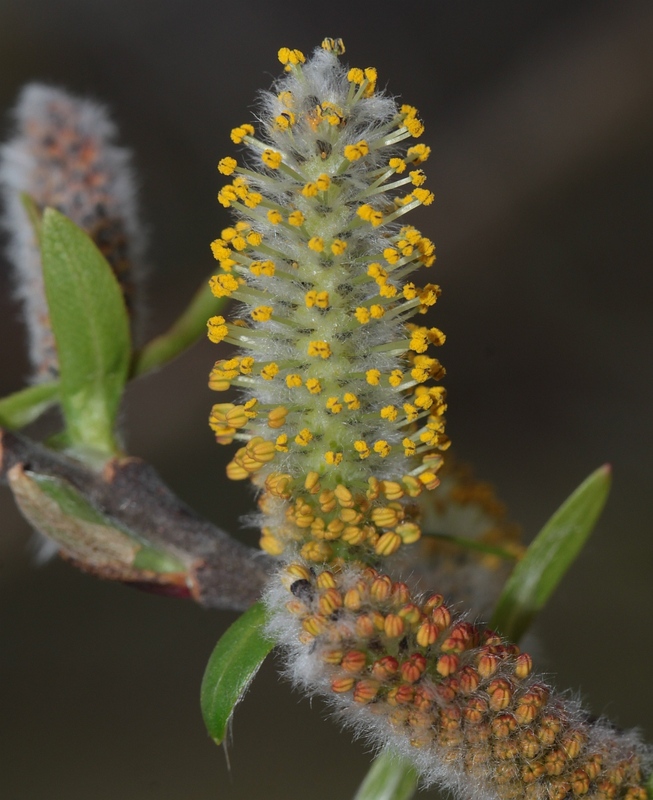 The ‘sparkles’ of a Willow flower. Woodies: Shadbush and American Elm flowered in Chatham and New Lebanon, respectively, both in 1851. Birds: Swallows first arrived in Poughkeepsie, 1837, and Amenia, 1849. Agriculture: In 1832, the year’s first Cherry Trees and Currants are flowering in Poughkeepsie. 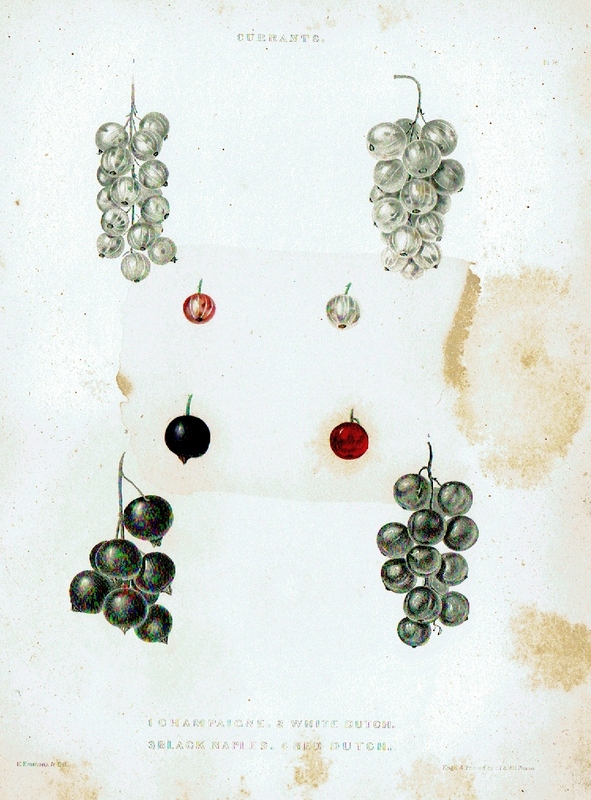 Kinderhook observed Cherry, Currant and Peaches in bloom in 1845, as well as Plums in 1840. Herbs: In five reports Dandelions had flowered, Wild Columbine noted in three. Other specimens in bloom included Hepatica, Violets, Marsh Marigold, Saxifrage, Speedwell, Narrow-Leaved Plantain, and Crowfoot. 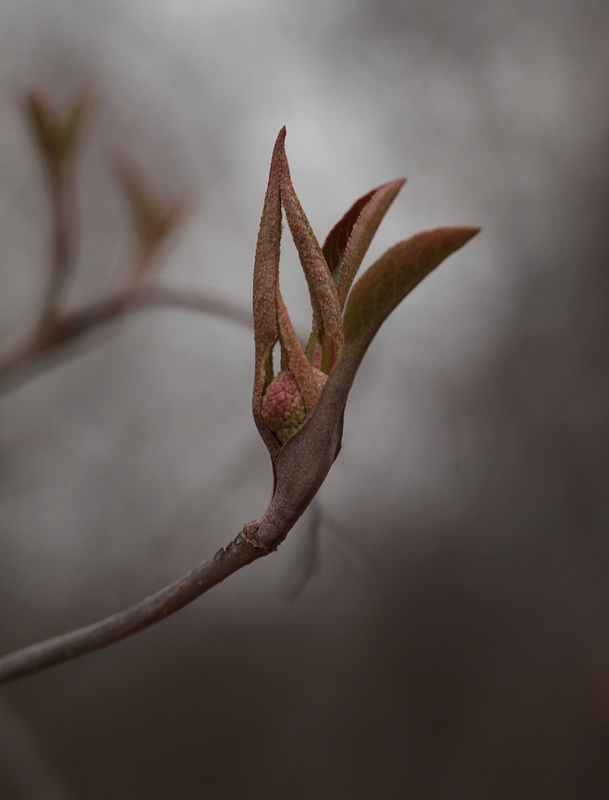 Woodies: Reports included a variety of flowering trees and shrubs: Red Maple, Wild Black Cherry, Dogwood, Sassafras, American Elm, Flowering Almond, Shadbush, Spicebush and Virginia Creeper. Birds: Martins and Swallows appeared, each with two reports. Other Critters: North Salem and Flatbush reported seeing Grasshoppers. Agriculture: Flowering Apple Trees observed in six reports. Both Apricots and Plums noted in four; paired reports of blossomed Currants, Flowering Almond, Pears and Peaches. Additionally, Asparagus was harvested, Indian Corn planted, and Blackberries flowered. Herbs: Dandelions and Bloodroot blossomed, two reports each. Birds: A lone report that Swallows had arrived. Agriculture: Rensselaer reported Peaches and Plums blossoming. Birds: Martins arrival reported in two locales. Swallows appeared in Franklin. Other Critters: Frogs first heard. Agriculture: Gooseberry observed in leaf. The graceful ‘fingers’ of a Nannyberry about to flower. Herbs: Two reports of blossomed Daffodils; Hyacinth and Trillium also flowered. Birds: Year’s first Martins appear in Madison County, 1845. Woodies: Slippery Elm and Red Maple flowered, a single report for each. Birds: Two reports noted the arrival of Swallows. Other Critters: Frogs first heard in two reports. Agriculture: Plum reported as blooming in one locale. Herbs: Dandelion and Hyacinth bloomed, a single report each. 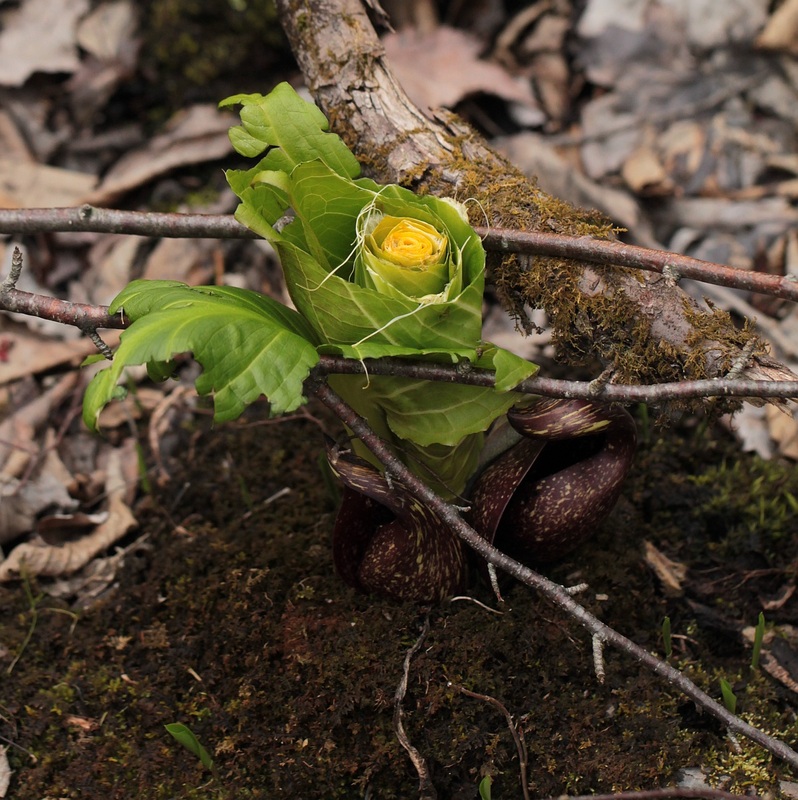 Another sign of Spring – bear-chomped Skunk Cabbage, seen over the weekend here in Harlemville. Woodies: Two reports of Shadbush in bloom, Horse Chestnut observed flowering in one locale. Birds: The arrival of Swallows noted in two reports. Agriculture: Apples, Peaches and Plums blossomed, each with two reports; Apricots and Currants reported as also flowering. Herbs: Trailing Arbutus, Saxifrage, Globe Flower and Trillium flowered. Saxifrage also observed in leaf. Woodies: The blooming of Red Maple and Sugar Maple, each with two reports was observed; Shadbush flowered and Tatarian Honeysuckle in leaf. Birds: A Red-Headed Woodpecker first heard in one report. 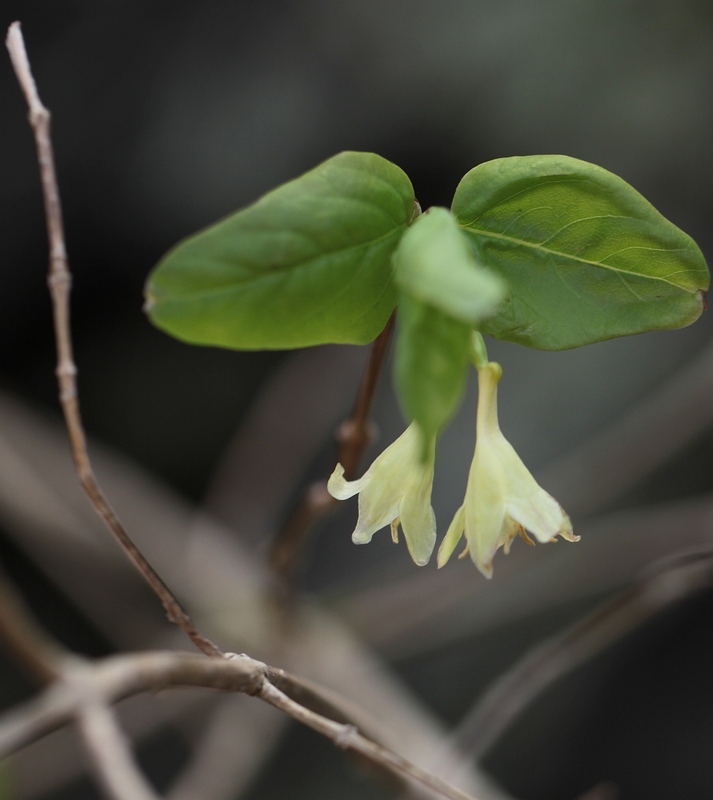 The native Canadian Fly Honeysuckle, currently in bloom at Taconic State Park. Agriculture: Lone reports of flowered Apricot, Apple, Plum, and Currants. Herbs: A single report noted Daffodils in bloom. Agriculture: Cherries observed in flower in two reports. Peach, Plum and Strawberry also seen blossoming. Herbs: Round-Leaved Violet and Daffodils blossomed. Woodies: Dogwood and Alder reported in flower.